The Hawke Endurance compact spotting scope range has been enhanced with the addition of extra-low dispersion glass (ED) models, reducing the potential for Chromatic Aberration. The addition of ED glass controls colour fringing and allows an improvement in clarity and crispness of the image. 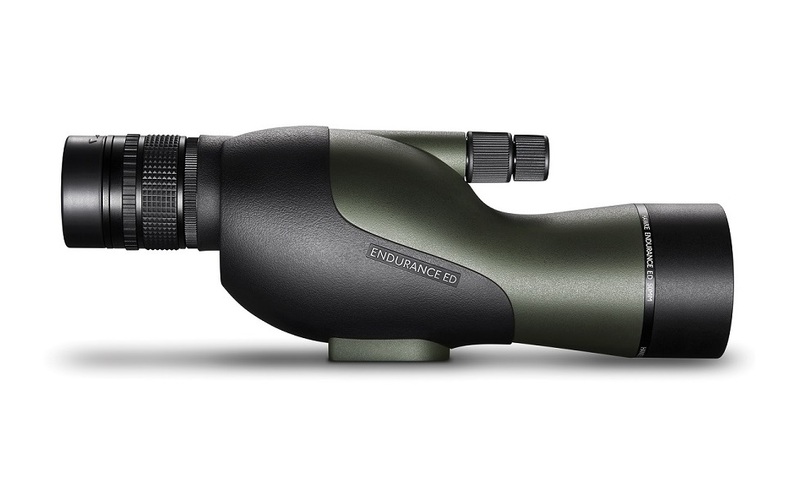 The new Hawke Endurance ED 12-36x50 spotting scope is compact and ultra-light weight, ideal for travel and outdoor viewing where reduced size matters. The advanced optical system includes BAK-4 prisms with dielectric coating for increased light reflectivity and fully multi-coated optics to produce a sharp, bright image. As well as being digi-scope compatible, other features include a dual focus knob to achieve ultra-fine focusing from 2.5m, twist-up eye cup, pull out sunshade and stay-on soft case.